The hotel is surrounded by the generous countryside of Modica, the colors of wisterias, the plants of thyme and the scent of capers. Everything around here, recalls the rich and fascinating history of Sicily, land of passage and borderland. The town of Modica, an important testimony of the Sicilian Baroque and UNESCO World Heritage Site, lies about 10 km. This is the heart of the Val di Noto, and Torre Don Virgilio Country Hotel is an good starting point to learn more about this region: Ragusa, Ispica, Noto, Scicli, are just some of the places that will amaze you with their stories. It is located in an old rural building, the residence of noble people, dating from the seventeenth century. 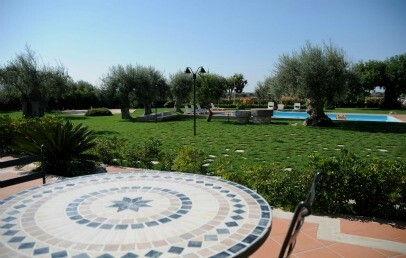 It was born as fortified Masseria and is surrounded by olive trees, carob trees and Mediterranean plants. The history of this farm and its territory still seems to echo among the mighty walls of the building. The silence surrounds the Torre Don Virgilio Country Hotel, allowing guests to capture these feelings and enjoy what nature has to offer, including the scent of its plants, in the shade of the foliage of its trees. A few rooms that provide maximum comfort: 16 elegant accommodations decorated in classic style, tasteful and understated, enhanced by touches of originality and exclusive details. 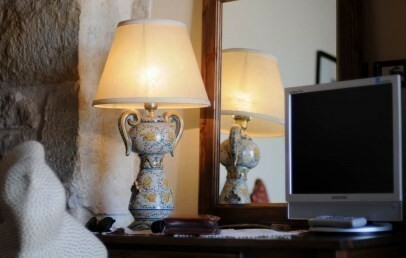 In the rooms of Torre Don Virgilio Country Hotel you can breathe the elegant atmosphere of ancient times. 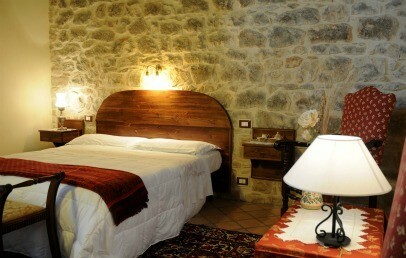 Classic – double room with double bed, decorated in rustic style, with stone walls and wooden ceiling. They have a bathroom with shower; some have a comfortable veranda with table and chairs and overlook the courtyard, the pool or the countryside. Available also for single use. 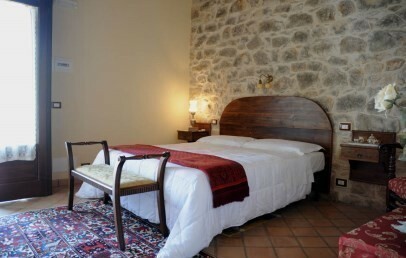 Deluxe – comfortable double room with double bed, decorated with soft tissues and refined colours, in rustic style, with stone walls and wooden ceiling. They have a bathroom with Jacuzzi and complimentary toiletries. The rooms overlook the countryside and the pool. Afternoon cleaning service, daily newspapers delivered in room and breakfast room service are available on request. Junior Suite – comfortable and spacious accommodation on two floors, decorated with soft tissues and refined colours, in rustic style, with stone walls and wooden ceiling. The living area is on the ground floor and on the upper floor are two rooms, one with double bed and the other with a single bed with the possibility to add a sofa bed in the living area. It overlooks the countryside and the pool. Afternoon cleaning service, daily newspapers delivered in room and breakfast room service are available on request. Approximately 20 minutes by car are enough to reach the most beautiful beaches on the south east coast (Marina di Modica, Sampieri, Pozzallo and more). Torre Don Virgilio Country Hotel has special agreement with some private beach clubs that offer sun umbrellas, loungers, bar-restaurant and other services. Guests can enjoy peaceful moments in the pool of Torre Don Virgilio Country Hotel, or can choose to discover the countryside and the surrounding area by hiking, mountain biking or horse tours. The hotel is located in the beautiful Val di Noto: it is worth spending a little time to learn about the history of the Sicilian baroque and the beautiful places in it which are UNESCO World Heritage Sites. On request cooking classes and tastings of wines, oils and other products, nature hikes, wine tours, quad tours can be organized. 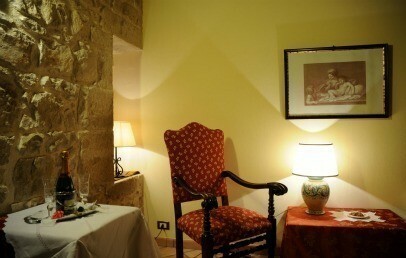 The Torre Don Virgilio Country Hotel has a small private chapel, which dates back to early 1800, consecrated and available for intimate ceremonies. 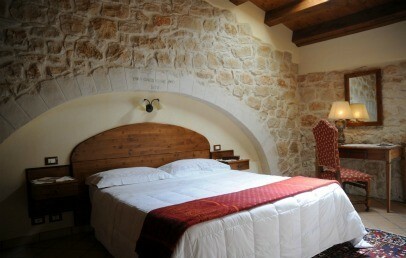 Double rooms with orthopaedic mattresses, double pillows (semi-hard and soft), decorated in rustic style, with stone walls and wooden ceiling. They have a bathroom with shower; some have a comfortable veranda with table and chairs. Some rooms overlook the courtyard, the pool or the countryside. Two of the Classic rooms are equipped for disabled guests. 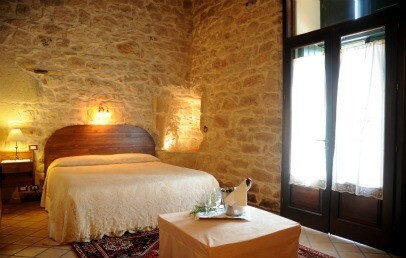 Double rooms with double pillows, soft tissues and refined colours, in rustic style, with stone walls and wooden ceiling. They have a bathroom with Jacuzzi and complimentary toiletries. The rooms overlook the countryside and the pool. Afternoon cleaning service, daily newspapers delivered in room and breakfast room service are available on request. 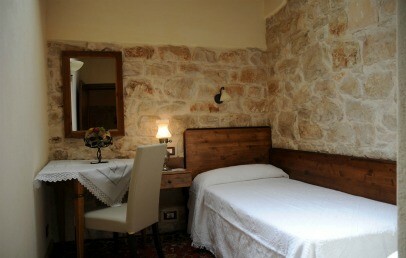 An accommodation on two floors, decorated with soft tissues and refined colours, in rustic style, with stone walls and wooden ceiling. The living area is on the ground floor and on the upper floor are two rooms, one with double bed and the other with a single bed with the possibility to add a sofa bed in the living area. It overlooks the countryside and the pool. Afternoon cleaning service, daily newspapers delivered in room and breakfast room service are available on request. Only for Charming customers: a bar of Modica Chocolate!